While some Americans are living longer with the help of medication and diet and striving to stay as physically fit as possible, one question arises: Are we acting our age? Senior citizens who desire activity are encouraged to find it, but apparently there are those who take risks and even push themselves dangerously close to their physical limits for their age. Medical experts encourage moderation. "Certainly in my practice I'm seeing more people who want to stay physically active well into their mid-80s," said Dr. Thomas D. Kohl, director of sports medicine in the Reading Hospital Medical Group. 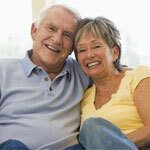 Statistics show that there are 39.6 million Americans over age 65. The U.S. Department of Health and Human Services appealed to that age group through "Never Too Old to Play," an initiative to encourage 30 minutes of moderate daily physical activity. Kohl encourages older patients to have an exercise regimen, but he cautions moderation, gradual progress and checking with a doctor before taking on activities deemed too strenuous. He also has seen instances where older people overdid it, remained couch potatoes too long, tackled an exercise with too much risk, suffered injuries and took longer to rebound. "Rule of thumb with anybody is to never increase your distance, frequency or intensity of exercise any more than 10 percent a week," Kohl said. One of his patients, Suzanne Ippolito, 69, of Spring Township, believes in living life to its fullest and having fun. She is willing to take some risks. And that even meant riding on zip lines running down the side of mountain while vacationing in Hawaii last year. "There were seven of them (zip lines) and I got through the first three, but on the fourth one the guy didn't catch me (when she came off)," said Ippolito, who was wearing a helmet. "When I jumped, I wound up banging into pads and hitting my arm, back and head. Although sore and shaken, Ippolito went on to finish the remaining three zip lines. Since Ippolito was in her 50s, diagnosed with rising blood pressure and cholesterol, she has made a commitment to stay in shape with diet and exercise. She has a personal trainer. "I like having fun and I enjoy doing things with my children," said Ippolito, mother of four and grandmother of three. Another of Kohl's patients, Elizabeth J. Iaeger, 70, of Bern Township, a retired insurance worker, has always had a commitment to an active lifestyle, running track, playing volleyball, hiking and biking in her youth and well into middle age. Even after triple bypass surgery in 1997, Iaeger remained committed to daily exercise. She currently works with a personal trainer at Gold's Gym in Wyomissing. "After surgery, I wasn't afraid to get back at it, lifting weights, doing the treadmill and cycling," she said. "The bottom line is that exercise makes me feel better. I do my own gardening and pull weeds. I walk three times a week." But Iaeger has suffered leg muscle strain at times from exercise. "About three years ago, I had to have a right shoulder operation because I was lifting furniture," she said. "As you get older, you do have to know when to quit and slow down when you feel something is not right." But Ken Moyer, 63, an insurance underwriter from Exeter Township, might more accurately typify others in his age group who still want to play pickup basketball and volleyball and hike to the top of Berks County's Pinnacle as he did in his youth. And he still does all that in spite of sprained ankles and dislocated and broken fingers or other aches and pains suffered in his activities. "I just enjoy it all," he said. "I don't really want to stop unless I have to." Admittedly, Moyer said he is not nearly as aggressive as younger and middle-aged players with whom he plays. But when he is on the basketball court, he still manages to stay in the game. "I'd certainly agree with the advice that if you haven't done much strenuous activity over the years, you should always see a doctor first before starting anything," he said. Whatever the motivation to stay active, whether a personal quest for the fountain of youth or just to enjoy a fulfilling and healthy life, geriatrician Dr. Ward Becker, 63, of Kutztown, said regular exercise can strengthen muscles and the immune system in older people. "The fact is people who are in better shape and go into an illness or operation in old age, do better in the shorter term when it comes to recovery," he said. "They can rebound." "You don't always have to be training for a marathon, but it's best to keep moving in most cases," Becker said. "Of course, exercise for people who have arthritis is a two-edged sword because too much (exercise) can aggravate the problem and too little can make things worse." Becker also stressed that exercise is a route to socialization, extremely important for the elderly whose circle of family and friends may be dwindling. It also can promote a more positive personal outlook. "For the elderly, activity goes hand in hand with a better mental outlook. There doesn't seem to be much doubt about that," he said. Contact Bruce R. Posten: 610-371-5059 or bposten@readingeagle.com.